Fishing Tackle - Kelp Beds of So. Cal. 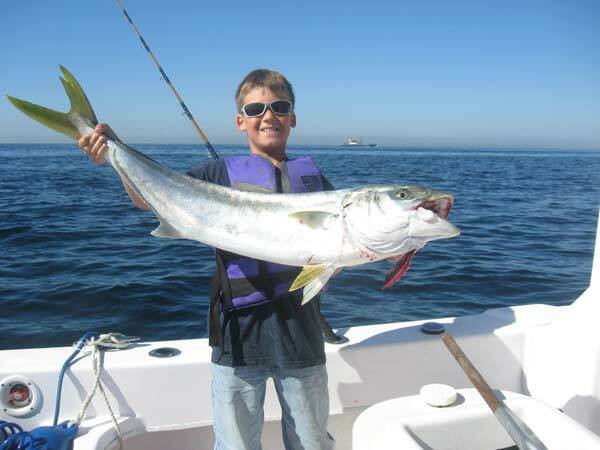 Eli with 28# Yellowtail off San Diego. for this one, we had to avoid: 1) a commercial boat, 2) lobster traps, 3) kelp, and 4) a nearby seal.... whew! There are many great videos on fishing tackle all over YouTube! Simply go to YouTube and type in whatever specific type of info you want. We go there to watch videos on how to tie knots, how to get rigged for rock fish, what resorts to visit, and so much more!